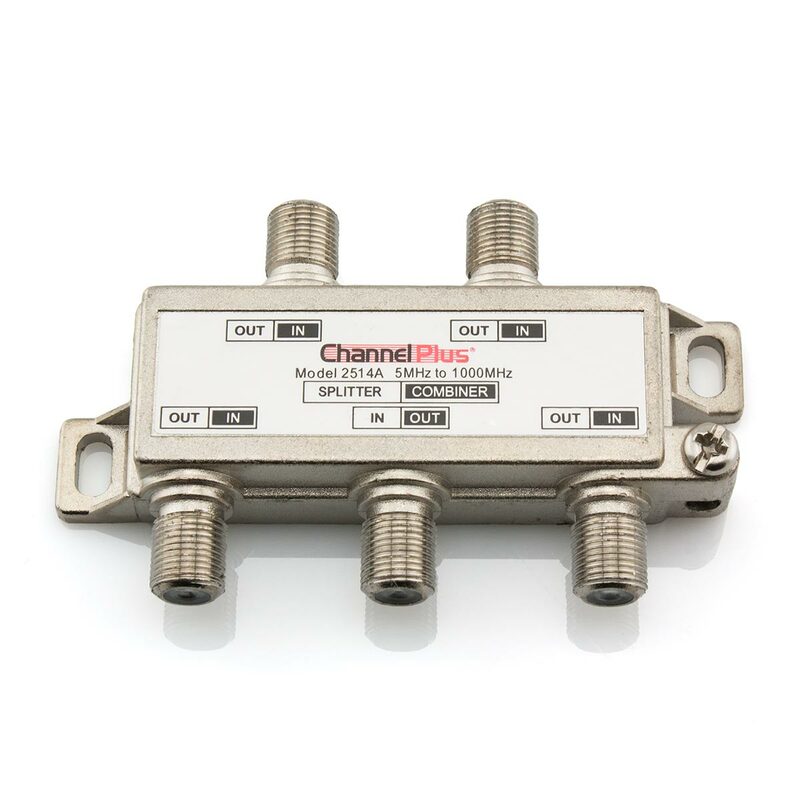 The ChannelPlus 2514 is a bidirectional 4 way splitter and combiner that provides up to 1000MHz (1GHz) bandwidth. This splitter/combiner is suitable for a variety of antenna and coaxial cable installations. This unit can be used to split a signal from a source or to combine signals from multiple sources into a single coaxial run. This splitter/combiner is also compatible with IR over Coax systems. As it is a requirement to use a DC passing splitter whenever DC IR signals are present on the coaxial cable, this is the ideal solution.